Communicating can be frustrating for both parents and toddlers! Toddlers often know what they want, but are not yet able to express their wants accurately to caregivers. Communication breakdowns happen when toddlers point or whine, sending an unclear message to the adult they’re communicating with. Remember: it’s normal for toddlers to communicate this way. Toddlers are exposed to new words every day, and they need to hear and try new words many times before using them consistently. However, when tension builds and frustration mounts due to a communication breakdown, toddlers may completely lose their cool. Your toddler may cry, scream, run away from you, shut down, or even hit and pinch when you offer comfort. Toddlers can become overwhelmed with their emotions, which can turn into a full-blown tantrum. Toddlers also learn how to push limits as their need to experience independence grows. As toddlers attempt to make their own decisions — open the refrigerator, dress themselves, decide they want to go outside to play — communication breakdowns may occur. This can be exhausting and irritating for parents, who feel frustration with their toddler’s growing desire to do things on their own. How should a parent respond when a toddler can’t communicate what they want? Every parent can remember a time when their child pushed the limits. Toddlers constantly gauge what they can (and cannot) get away with. The playground, kitchen table and the grocery store are only a few places where they may test their boundaries. It’s important to remember that toddlers are impulsive and easily swayed by their emotions. As they attempt to control the world around them, their actions may seem defiant. In reality, children are learning what is (and is not) allowed. Remind yourself that your child is learning, and maintain your patience rather than viewing these actions as a personal attack. When a child is trying to tell you something, he may feel pressured to use words to say what he wants. Parents can remove this pressure by accepting the means of communication their child is using. Let your toddler point or gesture. Using words can be hard for toddlers, so they should be encouraged to communicate with others in a comfortable way. Using gestures is still a good way for your child to get the point across, and gestures can be combined with sounds for emphasis. If your child is trying to use words, you may hear approximations, distorted or shortened words. This is expected for toddlers, and parents should encourage the use of approximations even though they may be difficult to understand. Give your toddler time to get his message across. Slow down the pace of the interaction, and continue the conversation in an un-hurried way. If your child is attempting to use words, make sure you take time to truly listen to what your child is saying. You may hear a lot of “No, no, NO!” from your toddler, especially when you’re trying to help them and figure out what they want. Toddlers may not have the words to ask for a favorite toy, a snack, or to go to the bathroom. In order to help your child and avoid a potentially exasperating situation, model the way you would like your child to ask for things during play or daily routines. Saying “my turn” while pointing at your chest may encourage your child to point to his chest when he wants something. Toddlers are developing independence and may become upset if they feel like they’re being ordered around. You may be able to “trick” your toddler into thinking they are in charge of a situation by offering them choices. Asking the question, “What do you want for breakfast?” may result in an answer like “Cupcakes!” or simply no response if your child doesn’t have the vocabulary to answer you with what he wants. Instead, phrase your question as a choice, saying, “Do you want cereal or eggs for breakfast?” This allows your child to still feel in control, while ensuring they will make an appropriate suggestion and avoid frustration. If your child’s tantrum becomes out of control, take a break from the activity or reason for the communication breakdown. Remove your child from the situation and remain close to them, in case they attempt to communicate with you. Try going for a walk, eating a snack, or sitting quietly together. Toddlers expect their parents to know exactly what they want at all times, and sometimes parents do. Avoid situations in which you know your child may be primed for a communication breakdown. For example, if you schedule a doctor’s appointment during your child’s typical nap time, you’ll likely experience an emotion-laden toddler who is difficult to communicate with. These tips may help parents keep their cool while helping their child through a communication-related tantrum. If parents find that they are unable to understand their toddler’s verbalizations of their wants and needs more than 50% of the time, a licensed speech-language pathologist (SLP) may be able to help! SLPs can help parents learn strategies to make communicating with toddlers easier, and ultimately less frustrating. 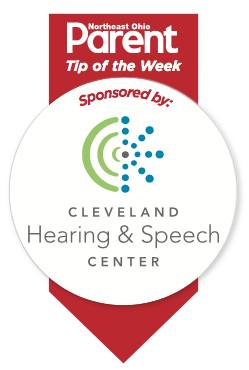 If you have questions or concerns about your child’s speech or language development, contact the Cleveland Hearing & Speech Center at 216-231-8787.